Blending opportunities are to the fore as Fortescue Metals ((FMG)) and partners move forward with the 20mtpa Iron Bridge magnetite project. Iron Bridge is located south of Port Hedland in Western Australia and has a large resource located in four deposits. The project has strong economics, brokers accept, although this depends heavily on the ability to sustain a significant premium to 62% iron benchmark pricing. Macquarie incorporates the development scenario into its estimates for the first time and envisages potential for the higher grade material to blend with lower-grade products over time and improve overall realised prices. The company's price realisations have been steadily improving. Macquarie notes realisations for the lowest-quality product, Super Special Fines, have spiked in recent weeks and are now at similar levels to the better-quality products. Fortescue Blend has also experienced a step up in realisations since mid February. The broker calculates Iron Bridge magnetite is likely to receive a price of over US$100/dmt at current benchmark prices. The anticipated production rate is higher than the broker expected, while capital costs are lower. On Credit Suisse's calculations, the project requires realised pricing of around US$80/t in order to generate positive net present value (NPV). As a caveat, the broker acknowledges NPV estimates may be the wrong metric to use to analyse Iron Bridge, given the large endowment, time to first production and inability to effectively quantify the blending opportunity. The main question, therefore, is whether the lower-than-expected capital intensity can achieve expected recoveries, at the stated costs, when scaled up from the current pilot plant. FMG Iron Bridge (88% Fortescue Metals, 12% Baosteel) owns 69% of the project in partnership with Formosa, which has 31%. Fortescue Metals will be operator and control marketing rights. The company will fund its US$1.85bn share through a combination of specific project debt as well as operating cash flow. The partners have already spent $500m on a full-scale module demonstration plant. Morgan Stanley believes the debt is manageable and Fortescue Metals can comfortably fund its project share from the balance sheet. 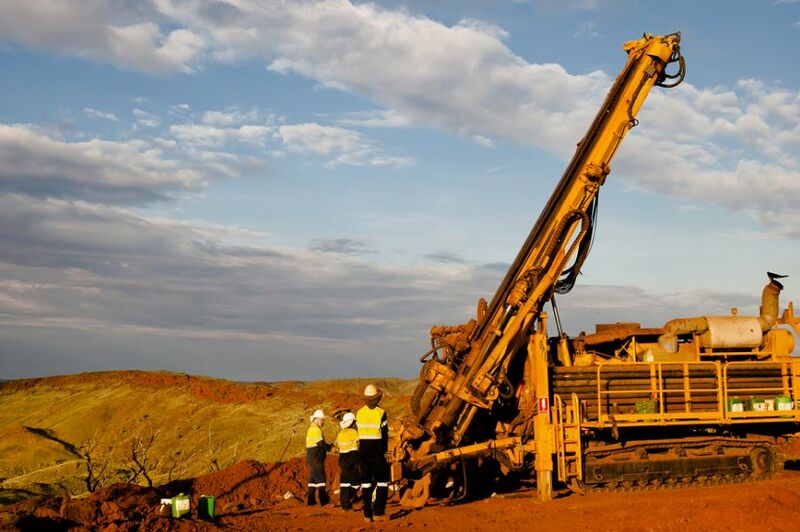 Citi finds the internal rate of return (IRR) of 10.4%, modelled using a long-term iron ore price of US$55/t and 67% concentrate price of US$65/t, is modest and the company will need to achieve better than this to generate an acceptable return. Still, the broader blending opportunities are notable. The company considers it relatively straightforward to blend the full 20mtpa into its products at Port Hedland and asserts, if it chooses to blend the concentrate into its current product mix, this would lift average grades for more than 50% of production to over 60% iron.